Originally published in 1978. 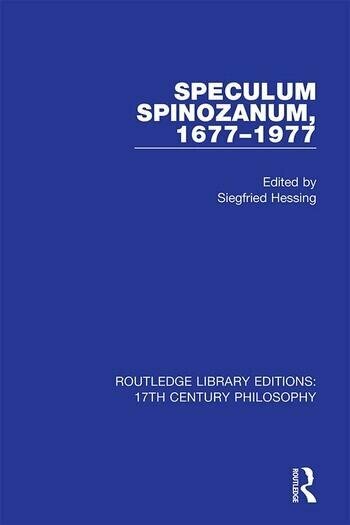 These essays are written by distinguished philosophers from many countries and were published as a homage to Spinoza in the year which marked the three-hundredth anniversary of his death. A special feature of the book is that it includes a recently discovered letter by Spinoza, reproduced for the first time in English and in facsimile, with a commentary. The controversial influence of Spinoza on Freud is discussed, and illustrated by facsimile reproductions of original letters, hitherto unknown to Freudians and Spinozists alike. These letters direct revealing light on some of Freud’s attitudes. Important parallels between East and West will also attract the student of Spinoza.